Well, I’ve just got back from an amazing two weeks in the USA! I’d never been there before, so when I got an invite to Emma McNeil’s (now Patterson!) wedding to Gerald in North Carolina, I decided that it’d be really cool to be there for that, and also to discover a bit of America at the same time! I flew out from Manchester Airport on Tuesday 7th, and got on the plane around lunchtime, but not before being selected for a security check as I was boarding! I guess it was because I was travelling on my own, but it’s funny how you start to feel guilty when you’ve not actually got anything to hide! About 8 hours later I made it into Newark Airport – and it was really weird being able to see such iconic views as the Manhattan skyline and the Statue of Liberty as we came in to land! After a bit of a delay waiting for my next flight to Greensboro, I finally boarded what can only be described as a coach with wings! It was a 50-seater, small 2-engine plane, that was incredibly narrow with just 3 seats across, and an aisle separating one of those! It was a bit of a bumpy journey – I’m not the most experienced flier, so it doesn’t take too much to make me a bit nervous! But we eventually landed safely at Greensboro airport quite late, although my awareness of time was a bit screwy due to the time difference! After getting through the airport, I met up with Emma and her mum, as well as her brother and his family who’d also just flown in, before picking up the car I was hiring for my time in North Carolina. 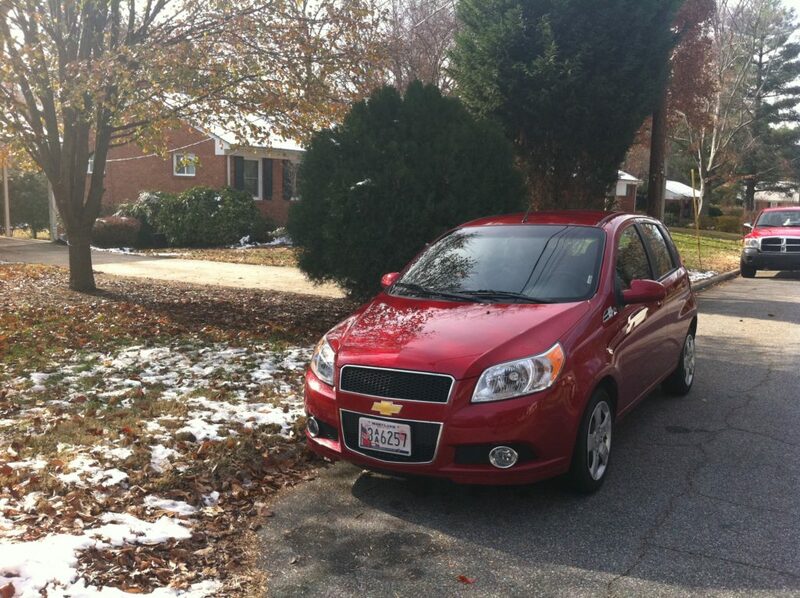 It was a little automatic Chevrolet, and I then had to follow them back to her apartment on the other side of the city – which considering I’d only driven on the right-hand side once before in 1997, and this time it was also dark, it was quite an experience! I was actually quite relieved it was an automatic because it meant I didn’t have to worry about changing gear with the wrong hand! Thought I’d better do a bit of a recap about what’s been going on over the summer, and I supposed the first thing I need to blog about is that we had a bit of a setback at work last month when we had a break-in at the office. Basically, the whole top floor of our building was targeted, and the burglars broke into about 50 separate units in all! 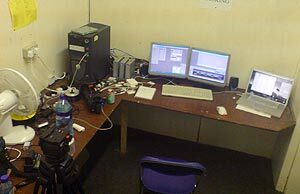 Most businesses had stuff stolen, but it seems like we were the worst hit, with us losing 3 iMacs and a Macbook Pro, plus all our filming kit comprising of a Sony EX3 and Z1, as well as a load of audio stuff as well. It’s been a pretty horrible experience – luckily we’ve only lost a bit of work since they didn’t take our server or external hard drives, which would have destroyed us really since we hadn’t really got a decent back-up of all our work. But it’s just so gutting that you put so much time and effort into building the business to have some scum just take it away from you. Anyway, we’re currently looking at options for what to do next – hopefully we’ve got a new office lined up because I really don’t want us to go back to our old one, because I think it might just happen again if they don’t sort out the security issues. Should have a clearer idea of the future soon. 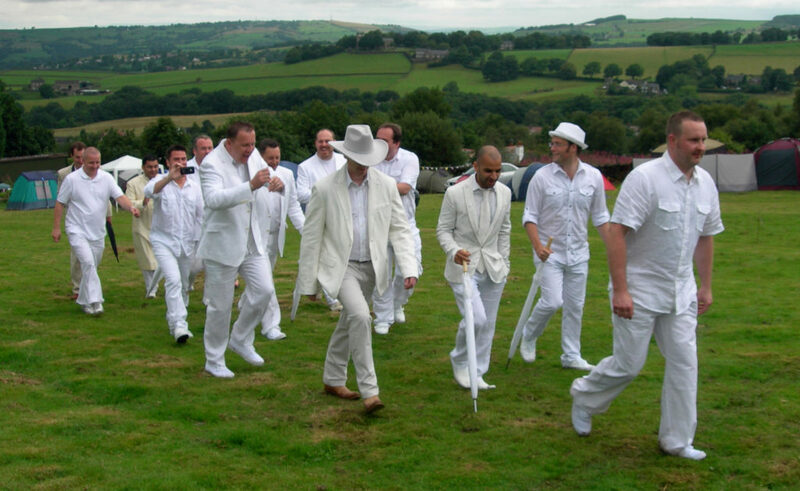 On to happier stuff… at the beginning of August, Rob and Clare got married in a field in Mellor (a small village not too far from Stockport), and I was one of the 12 ushers who were all dressed fully in white! I’ve just got back from my first proper holiday in many years (I’m not counting Anglesey over new year!). Quite a few of my family were on holiday in Turkey staggered over a couple of weeks, so I managed to get some time off work and join them over there for a week. 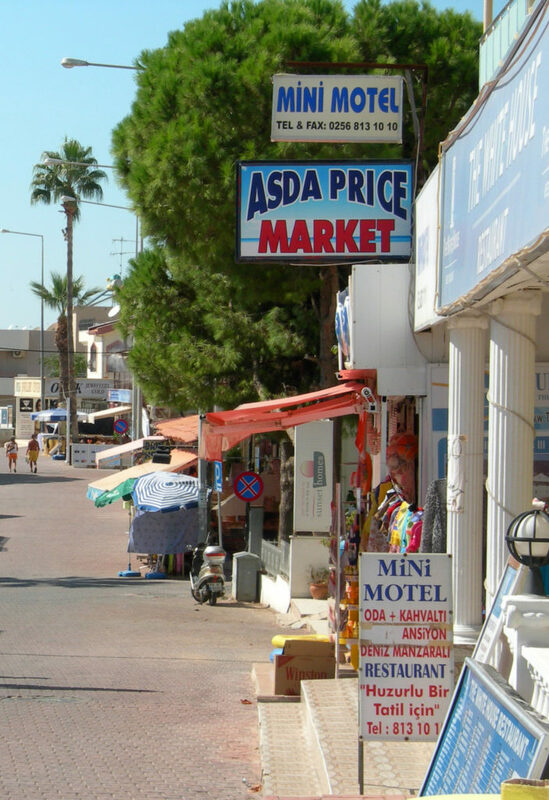 I’d never been there before, but my mum and dad started going over there on and off for holidays about 10 years ago, and both my brother and sister had been there quite a few times as well. Anyway, I headed over there from Manchester Airport with my cousin Sam and her husband Matt, and we got into Bodrum airport at about 5am, after having been awake since the morning before! Then it was onto a mini-bus for me, whilst Sam and Matt went onto a Thomas Cook coach (I’d booked with a small travel company, so my transfer was with a local company), and the journey from the airport to Altinkum seemed to take forever – the roads we pretty ropey, as was some of the driving! I eventually got to the apartments for 7.30am, and then crashed down for a few hours sleep. Venturing out around lunchtime, the first thing I noticed was how much warmer it was than the weather I’d just come from! To the locals, it wasn’t hot at all, but to me, it was just about right! Well, after seeing U2 last month (which was amazing by the way… have I mentioned that?!) I’ve experienced some more great bands in the last few weeks. I went to Greenbelt over the August Bank Holiday weekend with Ali and her mates from Bristol. Because she was working on the set-up team, it meant we were able to camp a lot closer to the main area, which was much better than the last time I went, when we were camped so far away! There was a great variety of music over the weekend: Athlete, Röyksopp, Sixpence None The Richer, Cornershop, yFriday, plus lots of smaller artists as well. Also, I got to hear a bit of Rob Bell too, which was really interesting. I’ve got a few of his books, but I’ve yet to read them – that’s something I need to do when I get a bit more time! He was doing a Q&A session, so covered quite a few subjects. He did a couple of specific talks as well, but unfortunately I didn’t manage to get into those because the queues were so long that people got turned away. I need to get an MP3 of them! It’s been a busy few weeks – we’ve had a lot on at work, which is obviously a good thing, but it would be nice to take a decent break at some point! 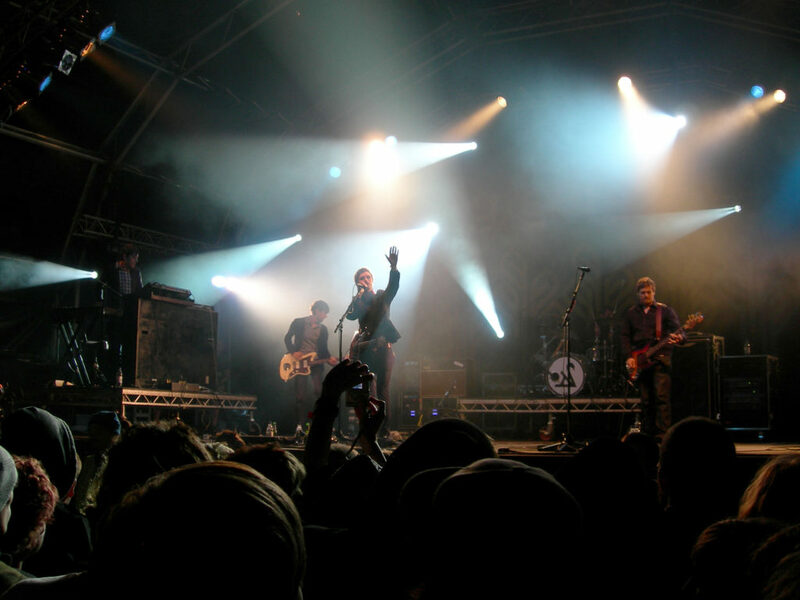 A few weeks ago, I went down to Soul Survivor North in Stafford as a day visitor. James and Helen had taken the Vinelife youth there for the week, so I met up with them as they were dishing up tea to a crowd of teenagers in very wet conditions! They’d taken Jess with them, which must have been interesting for them, but she seemed to be really enjoying herself, and I got to feed her a bowl of pasta which she wolfed down! It was just a shame the weather was so poor, because camping’s much better when the sun’s out! It’s been a couple of years since I’ve been to Soul Survivor, when I was working down in Shepton Mallet venue doing visuals in the Underground venue. It actually felt a bit weird being there as a punter – you kind of can’t switch off from being aware of all the behind-the-scenes stuff that’s happening! Then that weekend it was John and Carolyn’s wedding up in South Shields. I won the prize of being the driver for the trip, so it was a full car that set off from Manchester at 7am on the Friday morning up to the North East. Me, Dave, John, Jimmy and Mike were all crammed into my Focus, but luckily we actually had a really clear run up there, and it was a good laugh! Well just got back from my first proper break in 5 years! 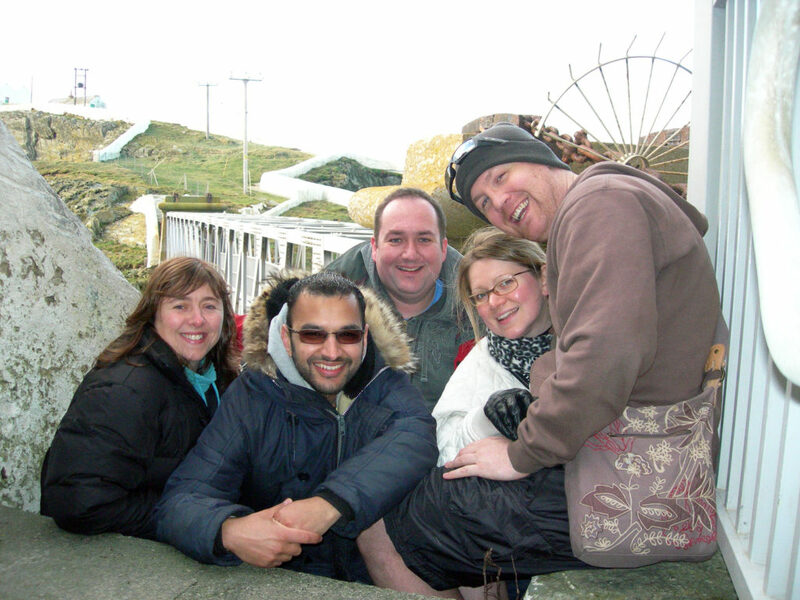 A few of us spent New Year in a cottage on Anglesey – I went over there on the 27th and got back yesterday lunchtime. It was great weather all week – pretty cold, but dry and mostly sunny, and our cottage couldn’t have been any closer to the sea! You just had to walk out of the garden gate, and within a few metres you were on the beach! I took my bike with me (which to my shame I haven’t ridden since I went out on it 2 years ago with Jamie!) and got on it twice, which is a good start for me(!) although where we were was very hilly, so probably not ideal for someone who hasn’t ridden for so long! Altogether across the week there we 9 of us – me, Ajay, Rob, Clare, Tabitha, Steve, Leah, Dave and Danny, although me and Ajay were the only ones who stayed the whole week – the majority left on Thursday lunchtime. Well, that’s the summer done! 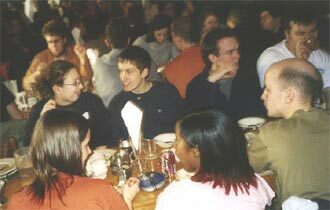 Wow – I can’t believe so much time has passed since I last blogged on here! It’s been quite a busy summer – I’ve just got back home after being away working for a couple of weeks down at Soul Survivor. I spent 10 days in the Underground venue doing visuals for the venue, so spent most of the time either down the side of the stage or in our make-shift edit suite! This year I had Tom Steward helping me – it was pretty last minute because both Andy and Kate weren’t able to come this year – but I was really impressed at how quickly he picked it all up, and the stuff he was shooting on stage every night was brilliant. Some of the video features we did can now be viewed on Youtube so check them out! So we finished there on Thursday morning, and then I headed up to Bristol to meet up with Ali, and on Friday went with her and some of her friends to Greenbelt. It’s the first time I’ve ever been to the festival, though obviously I’ve heard lots about it over the years! 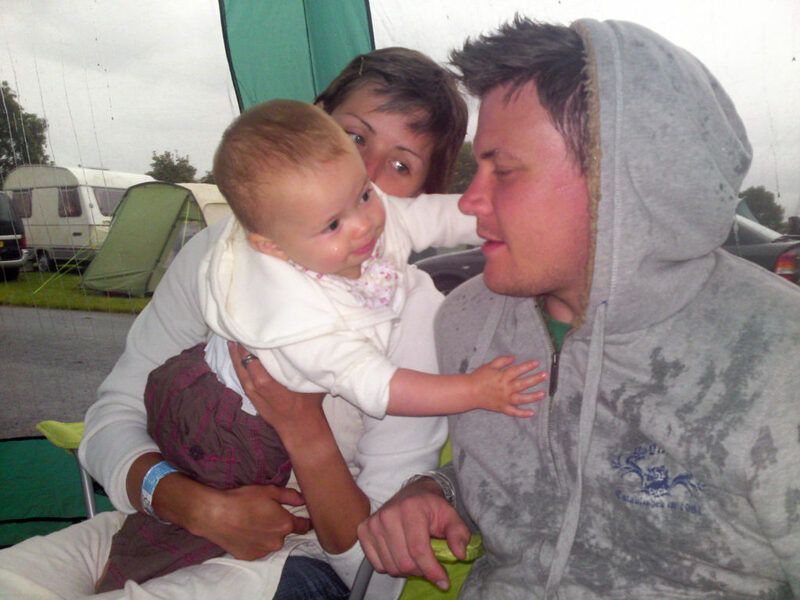 It’s very different to Soul Survivor – much more of an arts festival – and in some ways I found a lot of stuff really watered down, although there was a lot of passion for environmental issues and the like, which isn’t a bad thing. 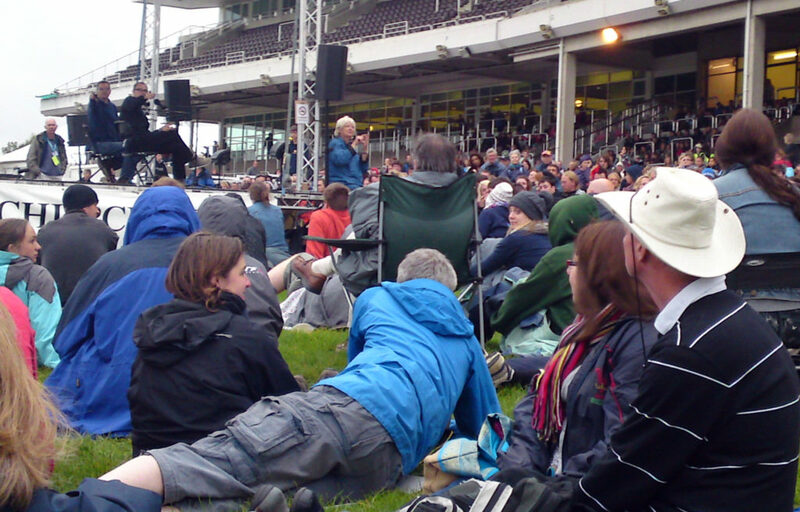 It’s quite a political event really, and the bands that appear are from a really wide spectrum – from Delirious and Matt Redman to Chas & Dave!! Not sure whether I’d go again, but I’m glad I checked it out. Work news – me and James are now officially joint directors of doodledo MOTION Ltd which is pretty exciting! We got all the stuff finished for the BBC2 series ‘British Film Forever‘ though it went on a bit longer than we expected – we thought the edit would be finished at the end of July, but James was still having to render graphics whilst I was at Soul Survivor! It was a good job for us to do because it was quite high profile – they even advertised the programme on a big board with some of our graphics on the front of the BBC building on Oxford Road! I think all the stuff we did looked really good when seen in the context of the whole show, and it’s a good job to stick in our portfolio! We’re now working on some titles and programme graphics for a ‘Vicar of Dibley’ special going out in October on UKTV Gold. It’s basically a showcase of the 40 funniest clips from the series with interviews from the cast and celebrity fans. We went down to Tiger Aspect in London back in July to meet with the production team, and the meeting went really well, and hopefully we should be able to deliver some really good work. The plan is that we’re going to do background images for each of the interviews, plus animated stings to introduce each of the clips. There’s been talk of us doing some titles as well, but I’m not sure what’s happening with that yet… we’ll probably find out last minute!! We’ve got some other work lined up as well, so hopefully we can make a real success of the new business. It’s going to be hard work, but I think me and James work really well together, and it’ll be good to focus our efforts in building the brand and expanding what we do. Watch this space! Oh, and after a lot of phone calls and form filling, I managed to get my money back after the betting incidents… going to be checking my bank statements a lot more regularly from now on! I’m typing this at my mum’s house because I’m down in Tamworth today ahead of my sister’s wedding tomorrow, and it’s absolute madness! I’m kind of glad I’ve only been here for one day of it, because everyone’s stressed trying to get everything sorted in time! We had the rehearsal last night, and I hope I can remember what it is I’m supposed to do! I’m giving Vikky away so I’m walking down the aisle with her, and I have a moment where I have to say “I do”! I’m sure it will all be great tomorrow, but I realised some things are still last minute when we were helping Damien write his groom’s speech just a couple of hours ago! Wednesday lunchtime, and it was time to continue onto Shepton Mallet, where I met up with the 29 guys, and also with Kate who did the video stuff with me there last year. They’d moved us into a smaller venue this year, which was good because it helped make it look much fuller each night, although we were out of the way of the main venues a bit which I think meant some of the kids didn’t realise we were there until later in the week. Then for the second week, Kate had to leave because she was doing a course in London, so Andy Passey took over which worked really well. It was a great 2 weeks, and on the whole, the weather wasn’t too bad. However, for the 3rd week, Soul Survivor was replaced by Momentum, which I was staying round for along with Andy, so we kept all the video and computer equipment in the room we’d been using as an edit suite, but put it all on the floor under the worktops to keep it out of the way of the Artshed guys who we were sharing it with. That afternoon though, we had a major storm with torrential rain, and quite a lot of the site got flooded (although my tent was okay), but I kind of assumed the venue would be okay because it seemed above ground level. After the main meeting, I met up with Andy who’d been to the Passion For Your Name meeting in what was the Underground during the previous weeks, and he said that the water had flooded through from the back of there, right down under the stage! Now panicking ever-so slightly, I headed off to site control who told me that the artshed had been ankle-deep in water, and the stewards had had to rescue stuff on floor level, but they weren’t aware of that storeroom! So me and Andy went down there, and we were so lucky, because right next to the storeroom was a fire-exit where the floor dipped down a bit, and basically the river had taken that route rather than flow into the storeroom! 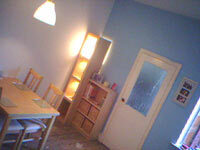 I then hastily moved all my stuff off the floor – no point taking chances!! You can see all the photos I took here. I got back to Manchester at 3am last Thursday morning, and it was so good being back in my own bed after spending 15 days living in a tent! Then on Saturday, I met up with Sa and we went round town looking for items for a ‘survival kit’ for Emma who’s leaving Manchester to study in Cardiff. 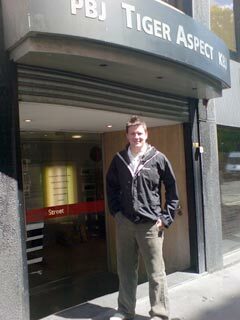 The original plan was to try and find some Welsh items, but we struggled to find that much (surpringingly, in England!) 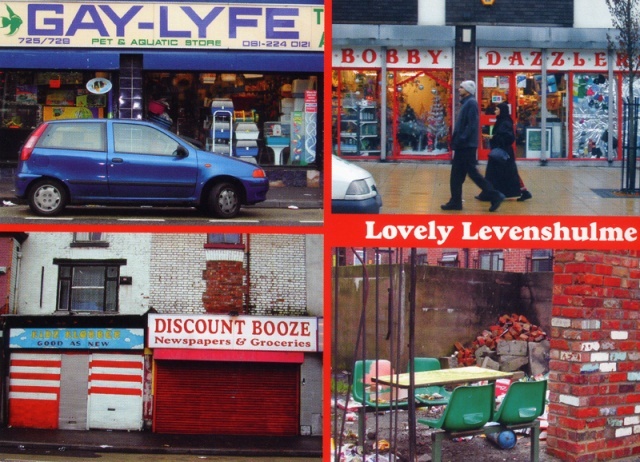 so the main thrust of it is things to remind her of Manchester, including a beautiful postcard we found of Levenshulme’s high street – classy! Then on the evening, Jamie came and joined us and we all watched a DVD at Sarah’s. It was nice hanging out with them both again – it’s been a really long time since I’ve spent time with these guys, and it’s great to be able to do so again, after all that’s happened. Anyway, I need to get off here to allow my sis to book a coach ticket to bring them back from the airport after their honeymoon… I’m driving them up to mine on Sunday afternoon ‘cos they’re flying from Manchester aiport early on Monday morning. Will post an update about the wedding later! I’m feeling totally knackered! But it’s kind of in a good way because I’ve just joined a gym up the road, and this afternoon I went there for about an hour and half with James, for what was probably the most intense exercise I’ve done for over a year! I’ve made a decision that I want to get myself really fit, and get my weight right down, so I’m going to have to put myself through some serious pain to achieve my goal! But one thing I found by going today was that it’s so much better when you go with someone else because it kind of motivates you more, and when you think of quitting a particular exercise, you generally don’t because the other person is doing it with you! We’re both going to go again first thing tomorrow morning and do some swimming, so hopefully this is the start of me being able to make some major changes in my life. I’m off down to Bristol tomorrow afternoon to visit Ali, then on Wednesday, I’ll travel a little bit further south to Shepton Mallet for Soul Survivor where I’m working on the Underground venue with the 29th Chapter again. I’ve not sorted out anything for it yet – and time’s running out! 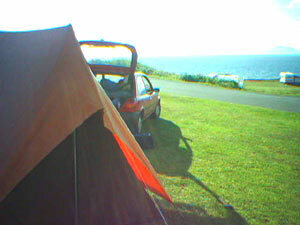 And I bought a new tent on Friday, so my old orange canvas tent is no more! I really could do with attempting to put it up before I leave just in case there’s anything missing! The other thing that’s happened this week is that I’ve managed to catch up with Sarah who I haven’t really seen for the last 18 months, though we have chatted occassionally on messenger recently. We met up first last Sunday afternoon for coffee where we just filled in what we’d both been up to since we’d last spoken properly. Then we went round to Caroline’s in the evening and I also got to see Olivia who I hadn’t seen since she was just over 6 months old – and now she’s almost 2, and it’s amazing to see how quickly kids grow up! Then last night, we both went over to Bradford to Abundant Life because I’d been tipped of that Martin Smith from Delirious was leading there!! Not an ideal reason for going but hey! It’s been good though to start to rebuild our friendship, because I have really missed it over the last year or so… so all in all it’s been a pretty good week! Been away working at Soul Survivor, and I guess during that time I’ve been pondering about a few things, which I’m going to mention briefly at the top of this post. I’ve been writing this blog now (on and off) for nearly three and a half years now(! ), and I suppose in the last 9 months, I’ve been thinking a bit more about what I actually put on here. I think it’s because I read some blogs of people I know who are loads more open and honest in what they write, and in some ways I really wish I was more like that. But part of the problem is if you start writing really personal stuff that also affects other people, is it fair to put it in a place where anyone can see? I know you can change names and stuff like that, and can be careful about how you refer to people, but at the end of the day either they, or others, would probably be able to work out who you’re on about. Also, I’ve always been a quite private person when it comes to personal things – and maybe reading blogs by people who seem to have broken through that barrier makes me realise that I’d like to be more like that. Not sure. But I’d say that some of the stuff I’ve written this year has been more open than it would have been previously, and maybe it’s something I’m going to work on in the future… not promising anything – it’s something I need to work out! Anyway, back to what’s been going on recently. I got home from Soul Survivor yesterday afternoon, and was so worn out I fell asleep as soon as I got in! I was there for 16 days – and it felt like an eternity! 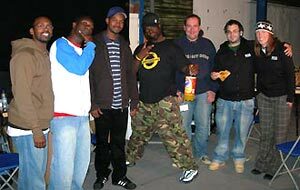 For the 2 main Soul Survivor weeks, I was working in their new hip-hop and urban venue run by the guys from the 29th Chapter – Underground – doing all the videos and visuals for the evening sets. I was working with a girl called Kate, who I hadn’t met before, but came recommended by John Roberts, and she was really good. She’s just finished a degree in Media Performance at Salford University, and it was so helpful having someone around who could do media stuff because there was SO much that we had to do. As well doing live vision mixing of the performances onto a big screen at the back of the stage, we were filming and editing mini-programme segments to be dropped into the set each night. We did a couple of MTV spoofs… “Bling My Youthleader” (based on ‘Pimp My Ride’) and “Tents” (a rip-off of ‘Cribs’ but without the celebrities and luxurious pads), plus every day they were running “Urban Academy” auditions which we recorded and then edited into a highlights package. It was all just so intense – really long days, but enjoyable as well. In between the two weeks, I stayed on-site for Momentum, and some guys from Tamworth were there for that, so spent a bit of time with them which was cool. And they had a baby with them which kind of distracted everyone (in a totally good way) all week! Even though it was supposed to be more of a rest that week, that didn’t really happen because I ended up spending some of the week in our edit suite doing preparation for week B! 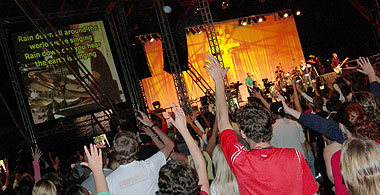 The photos from Soul Survivor and Momentum are here. I guess the major thing that’s happened since I last posted on here was on the night before I left for Soul Survivor, I got a call from my mum to tell me that a really close family friend had committed suicide the night before. It was someone who I’ve known for about 20 years, and she really was part of the family, and it’s horrific. I think I’m still in a bit of shock because I dont think I’ve really accepted it yet… I’d only been talking to her 4 days before at my nan’s funeral, and it was totally the last thing I expected. I wasn’t able to go to the funeral because I was obviously working down in Somerset when they held it, but I think in a strange way, I’m kind of glad I didn’t because I’d rather remember her as she was the last time I saw her. Got back yesterday from spending 10 days down at Soul Survivor, and am still feeling pretty tired! It pretty much rained nearly every single day, and it ended up getting quite muddy! For the first half of it, I caught up with a couple of Reach guys…Dave Bateman was DJing in Lift (the skate park), and also saw Rob Kay who was DJing on one of the nights with thebandwithnoname. On the changeover day, I went up to Bristol to visit Ali and Pete (and to stick my jeans and towels in their washing machine! ), and that was the only day when it didn’t actually rain! Then for the second part, some guys from Tamworth were there – Andy, Tom, Dave, John, Fiona and Sophie, and I spend a bit of time hanging round with them. I originally planned to stay until yesterday morning and return, but after waking up on Wednesday morning, decided I couldn’t stick staying another night in my tent, so left late that night and got back to Manchester at about 2.30am yesterday morning! There are some photos of this year’s Soul Survivor here. Just got back from a camping up in the Lake District, and it was a really brilliant weekend. Me and Jamie drove up on Friday night to Borrowdale, which isn’t too far from Keswick, and eventually found a camping field to set up on, so we put up the tent in the dark, and then had a quick drink before settling down for the night. Woke up pretty early yesterday morning – and it was gorgeous outside… the sun was out and the sky totally clear. Now we could actually see our surroundings, you could see how stunning the place was. We’d camped pretty close to a river, which we’d kind of guessed because we’d heard running water, but we discovered that what we’d heard was actually a set of waterfalls coming down from the mountain that we were planning to go walking up. So we set off, with our aim to make it to the top of Great Gable, which is pretty close to Scafell Pike which we climbed back in April. I found it a bit of a struggle doing the first bit of the ascent… it was boiling hot and the sun was pretty relentless on us! We were so hot that by the time we came to the first waterfall, I didn’t take too much persuading to stick my head into the flow of falling water!! 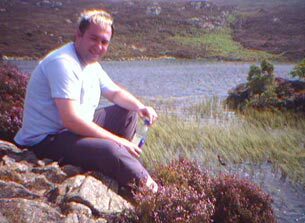 We then walked up a bit further, and arrived at above another waterfall, and this time I decided to lie across a rock and tip my upper body backwards into the water, totally immersing my head into the cold water – much to the amusement of Jamie! Managed to pull myself out of there, but somehow had managed to also totally soak my shorts, as well as my t-shirt, so ended up walking a bit funny until I dried out a bit! We eventually got to the top of Great Gable around lunchtime, and the views were amazing. We sat up there to eat our lunch and then started to head down a different way, and eventually came back to the river which we managed to cross by walking over some rocks, although I slipped and ended up soaking my boots and socks! We sat down there for quite a while, catching some rays, and hoping that my boots would dry out a bit! 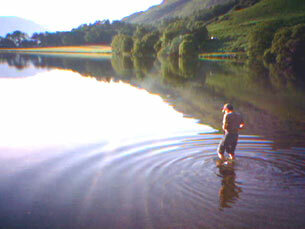 That evening, after eating out at a nearby pub, we started driving back over Honister Pass, and pulled up at the edge of Buttermere lake, and ended up being convinced by Jamie to go for a swim! It was really smart, though I was a bit apprehensive because I hadn’t been swimming for about 10 years! And it wasn’t until I was in the water that I realised that there were millions of dead flies on the surface of the water so I had to keep my mouth shut when swimming or I’d end up with a mouthful of insects! We waited until the sun set behind the mountains, and they dried off and drove back to the site. When we got back to the tent, Jamie ‘aquired’ some wood from the nearby fields, so we got a campfire going – which helped to keep the midges away which had already spent most of the day attacking us! It was really good spending a couple of hours chilling out around the fire, and just having a drink and chatting. Woke up this morning, and it wasn’t as nice weatherwise as yesterday – it was still dry and bright, but quite windy. We packed up and then drove over to a place called Watendlath Tarn, and then went for quite a fair walk over to Dock Tarn above Rosthwaite, where we sat on a rock overlooking the lake, with the wind blowing a pretty intense gale! We then walked back to the car (it seemed even further this time – especially ‘cos I was starting to feel a bit tired after all this walking!) and then drove down to a place that overlooked a massive lake and grabbed lunch before heading back to Manchester. I forgot to take my camera with me, but I did take quite a few photos of the weekend on my phone, and they haven’t come out too bad, and you can view them all here. The decorating’s definitely coming on! I’ve finished painting my dining room (apart from the woodwork) and have moved the furniture back in so I can actually use my downstairs rooms again! The other things that need to be sorted in there is some shelves need putting up, and I need to get a new carpet for the room and stairs, but I think I’ll wait until I’ve had the fireplace in the living room finished, ‘cos I don’t want it to get ruined when I get the builders in to do that! I’ve got a day’s holiday off work today to do some work on my kitchen… I’ve undercoated two walls, but there’s still a bit of wallpaper that needs to come off the other two, and I need to paint the ceiling as well. Don’t know how much I’ll be able to get done today, but at least I’m getting something done! Other stuff – supposed to be going camping this weekend with Jamie. Not sure where we’re going yet… were talking about heading off to somewhere in the Lake District so we can do some walking and stuff. Hope the weather improves though… after a really hot couple of days last weekend, it’s been miserable this week. We’ve had thunder and lots of rain – I know some parts of the country have had floods as well, so I’m really hoping it gets loads better by the end of the week! Shell Island camping weekend plus a baking frenzy! Right… it’s been a whole month since I did a news update, so here’s one now! Earlier this month I went on a camping weekend with Dean and Michael (and some other guys who I didn’t really know!) to a place called Shell Island in mid Wales. 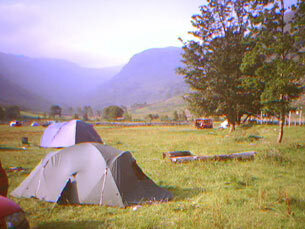 It’s quite a nice place – where we camped we could see the mountains of Snowdonia on one side, and the sea on the other! It was really sunny on the Friday when we arrived, but unfortunately on Saturday and Sunday it went a bit manky. Me, Dean and Michael ended up doing quite a bit of castle-visiting… not sure why(! )… but we stopped off at a little castle on the way there, and then on the Saturday afternoon, took a look around Harlech castle. Then on the Sunday afternoon, just before we drove back, we took a walk up by some small waterfalls which was cool, although we had a little panic when Dean realised he’d dropped his mobile phone somewhere along out route, so we had to go and trace our steps, checking in all the undergrowth. Found it in the end though! My main achievement this month is my newly-disovered skill of cake baking!! Sarah & Emma are running in the New York Marathon in November, and they have to raise quite a lot of cash for Christie’s Hospital, so Sa held a cake sale at work on Wednesday, and I foolishly said I’d do some cakes for them to sell!! I had one attempt at baking some blueberry muffins and chocolate brownies last Sunday – which turned out pretty bad to be honest! I’ve now discovered that my oven is quite rubbish, and that it’s hotter than it says it is, and the heat’s uneven! So something else to add to my list of home improvements! Anyway, tried again on Tuesday, and the results were a lot more successful! This time I went for chocolate chip cookies, and produced another batch of brownies – which this time were brown rather than black! 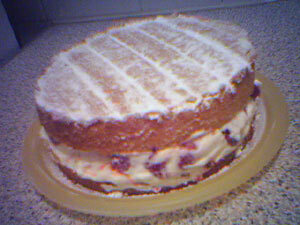 And my pièce de résistance… a sponge cake with fresh raspberries, and a crème fraîche and mascapone! Don’t know what it tasted like, but it looked good… and apparently it sold within minutes for £10!! Oh, and the final amount of cash that I raised for my run was £317!! Well chuffed! Right, well it’s been a few weeks so I thought I’d better do a quick update! 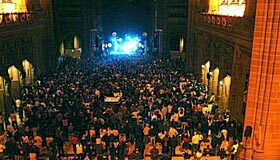 At the end of January went to see Delirious play a gig at Liverpool Cathedral, and it was awesome! 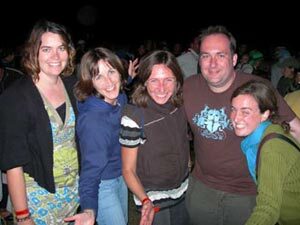 There was quite a group of us – me, Oliver, Rosie, Sarah, Emma, Colin and Caroline – and we also saw Fiona, Jules, Neil and Sarah who had made their own way there. The cathedral itself was amazing – it’s 100 years old, and looks really cool. And it was fantastic seeing a band like Delirious playing there. I saw them play Coventry cathedral when I was at uni, and that was one of the best gigs I’d been to. The atmosphere at this one was brilliant, and they played a good mix of their new and old stuff. The place was totally packed, and the view wasn’t the greatest because the stage wasn’t that high, but even with the wierd acoustics of such a large building, the sound was really good. Then last weekend I went down to Kidderminster for the Reach weekend away. I had to take the Friday at work because the coach was leaving Manchester at 5.30, and it would’ve been pretty difficult to get there for that time. Anyway, there were two coaches taking us all down there, and I think I chose well, because the other coach got lost and went north instead of south, and arrived a couple of hours after we got there! It was quite wierd, because the place we were staying at used to be called Fort Rocky, and I went there on a summer camp back in 1987! I had hazy memories of a lot of the things there, but the place was a lot smaller than I remember it – maybe that’s because I was a just a kid then! Jamie managed to dislocate his shoulder again playing basketball on the Saturday afternoon, and since he’d travelled there in his car, I ended up driving him back home, along with Sarah, and a new guy called Simon, who I discovered is good mates with Andy Chadwick who I knew as a kid, and was on the same summer camp at Fort Rocky back in ’87!